SANTA BARBARA, Calif.—September 5, 2017—Lee & Associates has completed a 1,400 square foot lease for a retail space at 1331 State Street, Santa Barbara, CA. 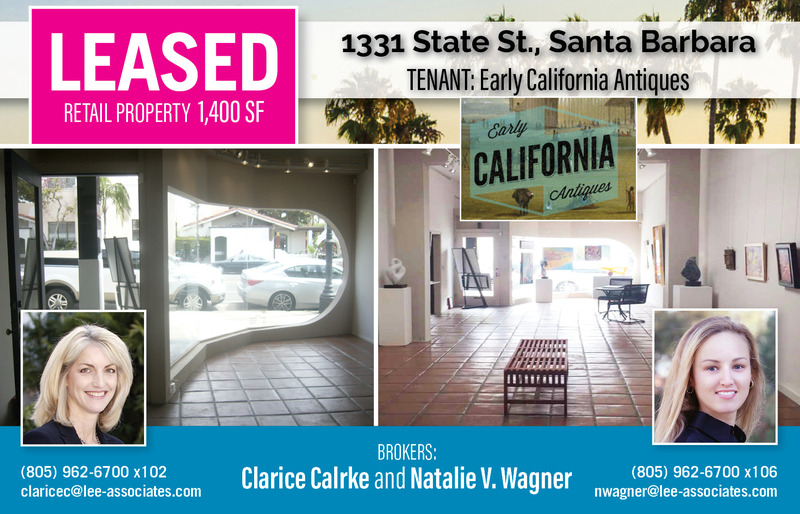 Clarice Clarke and Natalie V. Wagner with the Santa Barbara office represented the Landlord. This charming retail space with a large skylight and excellent natural light is located in the heart of Santa Barbara’s Historic Theatre District. It will be a new location for Early California Antiques Shop.